Includes stickers and a CD! 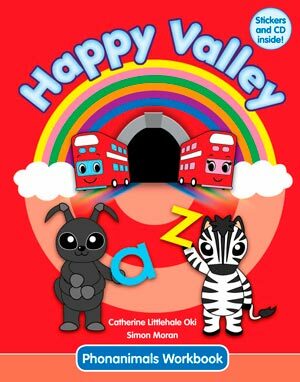 The Happy Valley Phonanimals Workbook contains not only our catchy Phonics Song but also has 2 activities with recorded dialogues for all 26 letters, repeated twice so parents can easily get involved. -The Phonanimals are designed to anchor the sounds of the basic 26 sounds, matching the Phonanimal character, sound and letter. Each Phonanimal has its own gesture, so that letters are represented aurally, visually and through movement. The workbook contains 2 activities per letter, first a sticker activity and then a writing/coloring activity. Like the Workbook, each activity is mimicked and a dialogue is provided so that learners can go home and do the activities again with a parent. 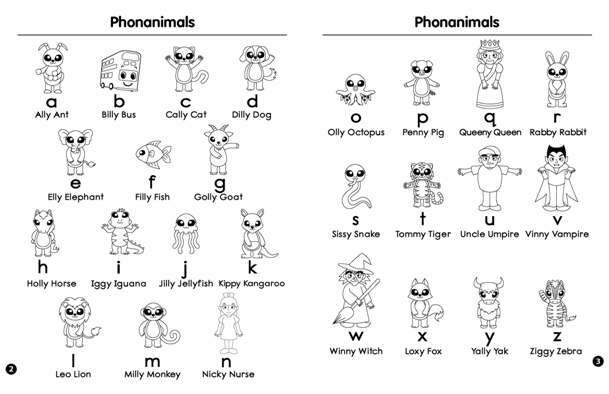 Check out some sample pages from "Happy Valley 1 Phonanimals Workbook"